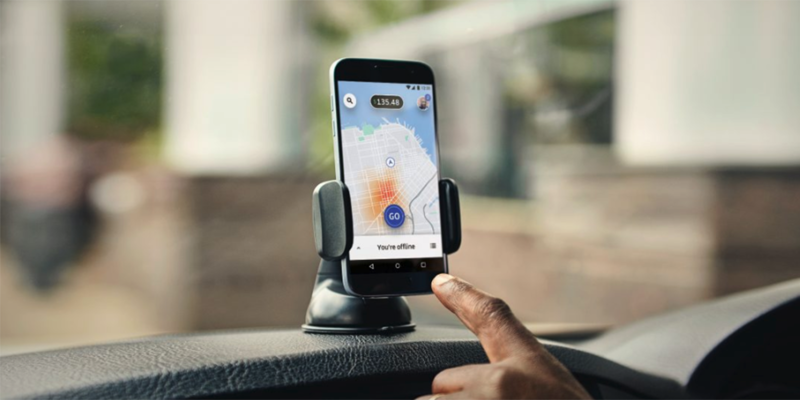 After months of feedback, research, and interviews with their drivers, Uber launched a new and improved Uber Driver app. We recently reviewed the new Uber Driver app and tested each of the features with our Members. Below are the results. One of the main new features of the Driver app is the real-time earnings tracker. This feature allows drivers to keep an eye on both their daily and weekly income goals. Another improvement is the new status bar, which provides real-time updates on surge pricing while also providing insights into high-frequency areas. The new app includes an opportunities nearby bar, which will provide drivers with the optional navigation to the recommended area. The updated driver profile section allows drivers to see messages and feedback from past riders, with notifications now acting as an inbox and old messages no longer disappearing. The changes to the driver profile changes mean that drivers no longer have to visit a Green Light Hub to update their account information, drivers can now add/remove documents on the app. Bank account details, when edited in the app, will take effect within 24 hours, or by next pay cycle at the latest. The introduction of a night mode to make it easier to navigate at night, it can be turned off/on manually or set to automatic. Overall, the new Driver app is a fantastic improvement from the previous version, and we know our Members will enjoy the new features. Click here to watch a video of the new Driver app features. As part of our unique service, our team of Member Success Representatives is ready to provide Members with training on the new Uber Driver app. There are two options, Rent and Rent-to-Own. Click here to find out more. If you want to know how Splend can help you, give our team a call on 1800 775 363.